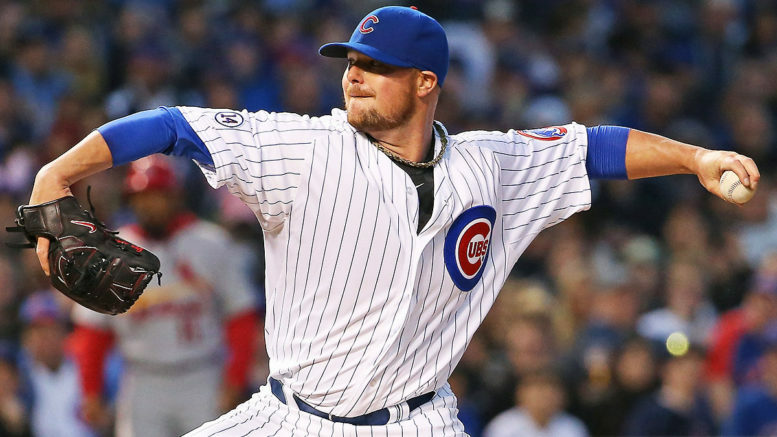 Jon Lester gets the call tonight for the Cubs as they host the Rockies in the NL Wild Card game. Don’t let the headline completely fool you. The Rockies are actually kind of lucky to be here, having won nine of 11 to close out the regular-season, but also falling flat in the NL West tiebreaker. The Cubs are scuffling too, so something has to give here. Well, can you believe it’s been the Rockies’ pitching, not their hitting, that almost won them their first-ever NL West title? The Cubs’ offense has gone cold down the stretch, but I’d take this lineup over Colorado’s any day. Javier Baez, likely to be the NL MVP runner-up, should make an impact in this one. Edge: Cubs. Jon Lester’s last Wild Card game start was a disaster in 2014, but Kyle Freeland is a sophomore on short rest. The Cubs have Cole Hamels and Kyle Hendricks available and Antonio Senzatela is the Rockies’ lifetime is Freeland bows out early. Edge: Cubs. Joe Maddon always finds a way. I’ll stop short of calling him the Bill Belichick of baseball, but he gets the most out of cast-offs of anyone in the Majors. He could have an ace up his sleeve in this game. Edge: Cubs. The pressure is on the Cubs because they were the best team in the NL for most of the year, and the Rockies know they are the underdog. Still, Colorado has to be feeling badly for squandering a chance at the franchise’s first-ever division title. Edge: Even. As has been their M.O., I expect the Cubs to fall behind early and rally in the middle to late innings. Lester will keep things within reach, and expect either Hamels or Hendricks to pick up the slack for a beleaguered bullpen. The Rockies have a very rested Wade Davis, but unless they have a late lead, the former Cub closer won’t be able to make the same kind of impact. Baez will have a big hit, and Ben Zobrist will too. Prediction: Cubs 7, Rockies 5. Be the first to comment on "NL Wild Card Game Preview: Rock-tober?"